Lot:8028 1788 Massachusetts Cent. Ryder 1-D, W-6190. Rarity-3-. AU-53 (PCGS). 1788 Massachusetts Cent. Ryder 1-D, W-6190. Rarity-3-. AU-53 (PCGS).151.1 grains. Glossy light olive brown with faint woodgrain striations in the fields as seen on other high grade specimens of this variety. Outlines of lustrous light steely gray are noted around the devices and through some of the legends. 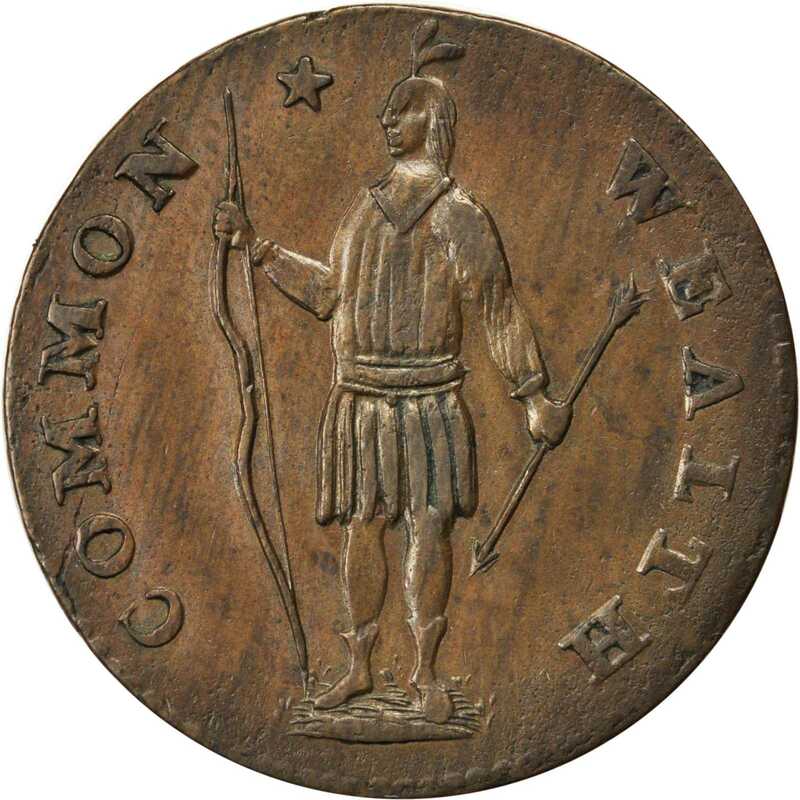 A thin linear planchet flaw passes through the first O of COMMON, extending into the field. Light porosity in the planchet around the peripheries might at once appear environmental in nature, but it is in fact natural, as this characteristic is seen on other high quality examples of this variety including the lovely Gem Mint State coins in the Newman and Partrick collections. The only noteworthy impairment is a small edge cut noted near 9:00 relative to the obverse, but it is only visible if one knows to look for it. Well struck with only minor softness at the center, though most of the central details are still complete enough to discern, even if they are not crisply defined.From the Twin Leaf Collection of Connecticut & Massachusetts Coppers. Earlier ex Dr. George P. French; Hillyer Ryder; F.C.C. Boyd; John J. Ford, Jr., Bowers and Merena, November 1984:2763; Anthony Terranova, 2002.